If you have been in car, truck or motorcycle accident in Marin County or the Bay Area, The Law Offices of Craig Dykman can help. We provide professional legal services for auto accident victims in Marin and educate you to help you understand your legal rights and responsibilities. We know that an auto accident can be traumatic experience and want to provide our clients with financial relief and peace of mind. Below you’ll find some helpful suggestions that can save you a significant amount of time and money if you've been in an auto accident. Keep these things in mind or make a list to keep in your glove box in case of an auto accident. Doing or not doing these things could make or break your auto accident case. It’s important to collect some information immediately after an auto accident to ensure that you get the best legal defense. Getting these things will help your case and save you time and money. Get this information after the auto accident so you and your lawyer understand the case and know how to best proceed with your personal injury case. After the auto accident you should keep track of certain things in order for the court to determine the financial cost the accident has had on you. Keeping a record of these things will allow the court to best assess the cost of the auto accident. If you have been in an auto accident in Marin County or the San Francisco Bay Area, The Law Offices of Craig Dykman can help. We are experienced and professional auto accident attorneys. We will ensure that you get the best possible legal defense and are justly compensated for your injuries. Give us a call today at (415) 454-8545 or contact us here for auto accident legal services in Marin. The Law Offices of Craig Dykman provides professional legal defense for slip and fall victims in Marin County. We seek to educate our Marin clients. We’ve provided you with information on slip and fall claims so that you understand your legal rights and responsibilities. A slip and fall is a claim or case for when a person slips (or trips) and falls. People can slip and fall on a dangerous floor, flight of stairs or rough patch of ground. The slip and fall attorney is responsible for proving that the property owner was negligent by allowing some dangerous condition to exist and that the claimant was not at fault. Property owners need to be careful in keeping up their property. Cases often hinge on whether or not a property owner was careful and took precautions to prevent slipping and falling and whether you were careless in not avoiding the thing that you fell over. One of the following must be true in order for the property owner to be liable and for you to have a slip and fall claim. Must have known the slippery or dangerous material or object was underfoot and done nothing about it. Should have known the slippery or dangerous material was on the floor, stair, or ground because a “reasonable” person taking care of the property would have discovered and removed or repaired it. The third situation is the most common in slip and fall cases but it is the most difficult to prove because of the words “should have”. Determining liability in these cases is often determined by common sense. Judges and juries decide how careful the property owner was based on if they took reasonable steps to prevent slip and fall accidents. A property owner must make regular and thorough efforts to keep their property safe and clean. There are questions that the slip and fall victim and their attorney can ask to determine if the property owner took reasonable precautions. If you tripped over a torn, broken or bulging area of carpet, floor, or ground, or slipped on a wet or loose area, had the dangerous spot been for enough time for the owner to know about it? If you tripped over or slipped on an object someone had placed or left on the floor or ground, was there a legitimate reason for that object to be there? If there was a good reason for an object to be on the ground or floor but there isn’t a good reason now, could the floor or ground with the object have been made safe? Was there a safer place that an object on the floor or ground, or could it have been placed in a safer manner without greatly inconveniencing the property owner or operator. Could a barrier or a warning have been placed to prevent slip and falls? Did broken or poor lighting contribute to the accident? If the answer to any of these questions is yes there is a good chance that the property owner did not take reasonable precautions to prevent slip and fall accidents. The Law Offices of Craig Dykman provides professional and courteous legal defense services for slip and fall victims in Marin County. If you have been in a slip and fall accident in Marin and believe that there was negligence on the part of the property owner please call us. We have offices in San Rafael, Petaluma, Truckee, and San Francisco. Call the Law Offices of Craig Dykman at (415) 454-8545 or use our contact form here. The Law Offices of Craig Dykman provides legal services to those who have had accidents involving public entities. If you have been injured by a public employee, or have had an accident such as a slip and fall on public property, then we can help you. The Law Offices of Craig Dykman specialize in professional legal representation for our public entity accident clients in Marin County and the San Francisco Bay Area. What is a Public Entity? any State or local government. any department, agency, special purpose district, or other instrumentality of a State or States or local government”. For personal injury a public entity accident is an accident on public property or an accident caused by a public employee. Do I Have a Public Entity Accident Claim? It needs to be determined whether the accident was caused by the negligence of the public entity’s employees or by the presence of a dangerous condition on public property. If there was negligence then the person that was injured can bring a case against the public entity. If you had a slip and fall accident on public property, look at our slip and fall section to see what constitutes negligence. In California someone who has had a public entity accident should submit their claim to that entity within 6 months of the accident. Some exceptions may be made and it is possible to petition to make a late claim, but extensions on the 6 month window are not granted automatically. It’s much easier to contact an experienced personal injury attorney right after you have had an accident. Failure to take action within the 6 month window can be viewed by the courts as “inexcusable neglect” by the injured party and significantly reduces their chances of receiving compensation from the public entity. If you want to have the best chance of receiving just compensation for damages then you need to hire a personal injury attorney who is experienced in handling public entity cases. If you believe you have a claim then call a personal injury attorney as soon as possible. An experienced attorney like those at the Law Offices of Craig Dykman in Marin County will immediately begin investigating your case and collect important evidence before it is lost. We have experience with every type of public entity case. 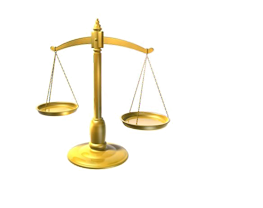 We will ensure that you are justly compensated for damages. If you have been in an accident involving a public entity then call the Law Offices of Craig Dykman. We are personal injury attorneys serving Marin County and the San Francisco Bay Area. Call the Law Offices of Craig Dykman today at (415) 454-8545 or use our contact form here. Losing a loved one is the most painful and difficult experience that we go through in life. What is even more painful is when that death was accidental and it was caused by someone else’s negligence. While nothing can ever erase the pain that a loved one’s death causes, receiving just compensation can ease it. The Law Offices of Craig Dykman in Marin County has experienced wrongful death attorneys who will help you through this difficult time and ensure that you receive what is rightfully yours. We are compassionate and experienced wrongful death attorneys serving Marin County and the San Francisco Bay Area. Wrongful death is a claim in common law jurisdictions against a person or persons that can be held liable for a death. The claim is brought in a civil action, usually by close relatives, as enumerated by statute. The standard of proof for a wrongful death in the United States is preponderance of the evidence as opposed to clear and convincing or beyond a reasonable doubt. The wrongful death action is separate and apart from criminal charges and neither proceeding affects nor controls the other. A defendant acquitted of murder may still be sued in a civil action by affected parties for wrongful death. In order to obtain compensation for wrongful death, those bringing the claim must prove that the fatality was caused by another person or party’s negligence or malpractice. If the party filing the claim can show proof of fault then damages will be awarded. The best way to determine whether you have a legitimate wrongful death claim is to contact an experienced attorney, like those at the Law Offices of Craig Dykman, as soon as possible to evaluate your claim and inform you of your rights. If you believe you have a wrongful death claim then you need to hire an experienced attorney like those at the Law Offices of Craig Dykman. Wrongful death attorneys understand the law, the statues of limitations for filing a claim how to best gather and present evidence to prove fault in wrongful death cases. If you have a loved one who has died due to the negligence of another then you need to hire an attorney. The Law Offices of Craig Dykman have been handling wrongful death cases in Marin for years. We have the experience to ensure that you are taken care of awarded just compensation for the death of your loved one. In addition, we understand the pain that is caused by the loss of a loved one and treat our wrongful death clients with compassion and care. If you live in Marin County or the San Francisco Bay Area and need to hire an attorney for a wrongful death claim give us a call. If you or someone close to you has been the victim of a dog bite then you need an experienced attorney. If the dog bite was caused by someone else’s negligence then the victim can make a claim to receive just compensation. The Law Offices of Craig Dykman are the Bay Area’s provider of professional legal representation for dog bite victims. Our firm has the necessary resources to handle every aspect of a dog bite case. We are advocates for our clients in Marin and work aggressively to ensure that you are awarded the maximum compensation for dog bite damages. We seek to educate our dog bite clients and have provided some information below so you can know what to do if you or a loved one is bitten. What Do You Do After a Dog Bite? A dog bite can be a traumatic experience, but there are some things you should keep in mind to protect yourself and ensure that you will be compensated for damages. Get medical attention first since dog bites pose a serious risk for infection. Call 911 or get to an emergency room immediately. Then identify the dog that attacked you and find out how the owner can be located. Next report the dog bite attack to animal control or the police. Take photos of the injuries as soon as possible. Then contact a dog bite lawyer like those at the Law Offices of Craig Dykman. Most importantly, do not give any information to the dog owner’s insurance company or sign any documents without first notifying your dog bite lawyer. The insurance company’s only interest is in protecting themselves from claims. Any information you give them can and will be used against you. Have legal council before trying to deal with the insurance company yourself. There are a few defenses that a dog owner’s attorneys may use in dog bite cases that would make the owner not liable for damages and prevent you from getting compensation. Under California law the dog bite owner is liable only when a person is in a public place or lawfully in a private place. In addition the dog owner is only liable for injuries that are a result of the dog bite. Finally if the dog bite victim provoked the dog or if someone like a veterinarian assumed possession of the dog, then the dog owner can defend themselves saying the person assumed the risk of a dog bite. These are all valid defenses that could prevent you from receiving compensation. Veteran dog bite lawyers, like the attorneys at The Law Offices of Craig Dykman will give you the best possible representation to ensure that you are compensated. Competent attorneys like those at the Law Offices of Craig Dykman will diligently pursue all types of compensation for their clients. An experienced dog bite lawyer like the attorneys at the Law Offices of Craig Dykman will ensure that you receive compensation for all damages caused by the dog attack. The Law Offices of Craig Dykman are expert dog bite lawyers serving our clients in Marin County and the San Francisco Bay Area. We have over 20 years of personal injury law experience and bring that level of knowledge to all of our dog bite injury clients.